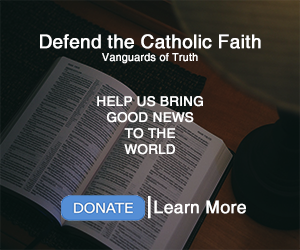 Defend the Catholic Faith | Vanguards of Truth An Open letter to the President. Hay, Digong! Ano na naman yan? There is only one Bishop David in the Catholic Bishops’ Conference of the Philippines (CBCP). His name is Pablo Virgilio S. David. He is a native of Betis in Guagua, Pampanga. He is a renowned exegete, a bible scholar who holds a doctorate degree in Theology from the Catholic University of Louvain in Belgium and Eleve Titulaire from Ecole Biblique et Archeologique Francaise de Jerusalem. 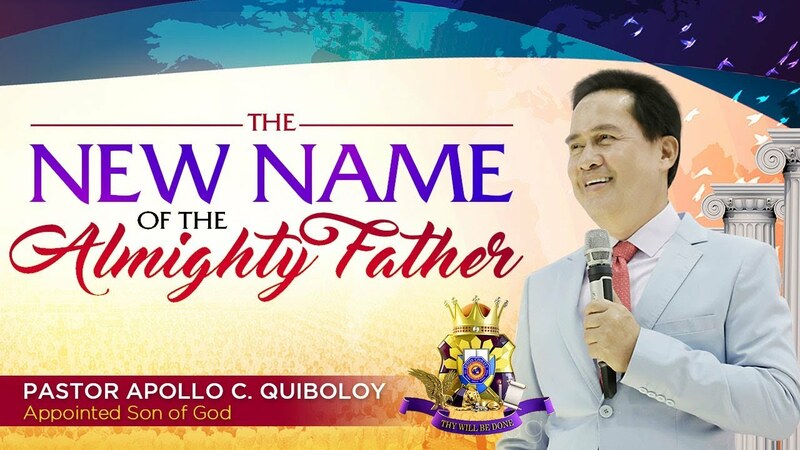 He is currently the Vice President of the Catholic Bishops’ Conference of the Philippine. He heads the Diocese of Kalookan which has the highest concentration of victims of drug war-related killings and arguably the highest poverty incidence in Metro Manila. In the slums of Caloocan City, Malabon and Navotas, more than a dozen mission stations have been established to reach out to the marginalized in society. 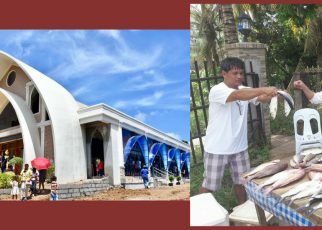 Under his watch, the Diocese of Kalookan has been implementing numerous programs and services (e.g. Salubong Program, Feeding Program, Scholarship Program, the Joseph Clinic, etc.) to counter social ills like poverty, drug addiction, hunger, growing number of orphans and out-of-school youths, homelessness, etc. 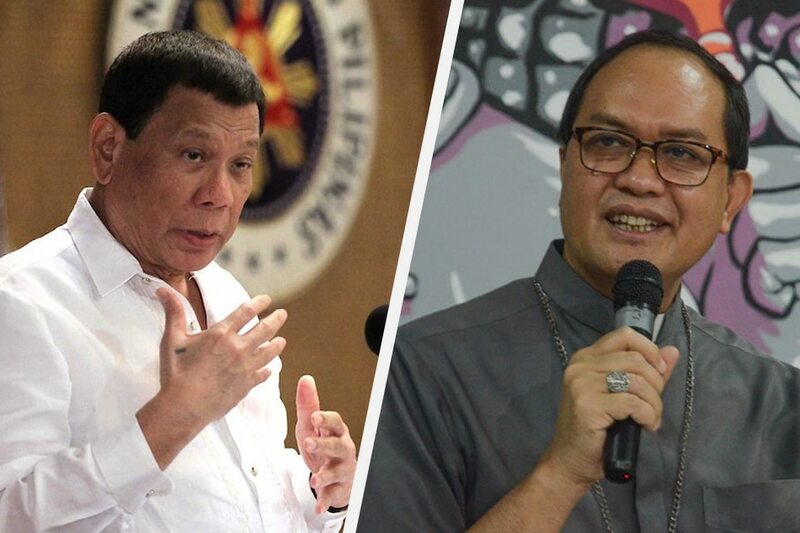 Instead of accusing him of stealing “pinya, avocado, and saging”, don’t you think it would be more fruitful if your administration partnered with him and his diocese to address these social issues? The poor would have benefited greatly had your administration not shelved the housing project that the Diocese of Kalookan and HUDCC were firming up when VP Robredo was the Housing Secretary. Donations (in the Catholic Church) are voluntary. Kaya nga donation e. People usually hand monetary and material donations to bishops and priests to be used for pro-poor, pro-peace programs and services. In recent years, the church has instituted mechanisms for accountability to make sure these donations reach their intended beneficiaries. Gratitude is very much a part of Catholic teachings and of Pinoy culture. One way of expressing gratitude is to offer gifts to people whose efforts we appreciate. We offer pinya, avocado, saging and a lot more during the offertory as a symbol of our gratitude to God and to the presiders of the sacraments. We do not expect the images inside our churches to come to life and eat these offerings. We expect the priests and bishops to eat and enjoy our humble offerings – as a sign of gratitude to the giver. We do not rue the fact that they share these gifts with their families, friends and with the hungry in the community. That is not stealing. Call it a circle of love – giving, receiving, giving, receiving, giving … It is unlike your relationship with China. Give ka nang give; receive sila nang receive. Gets? Here is a basket of fruits for you. You are free to share it with your family and friends.